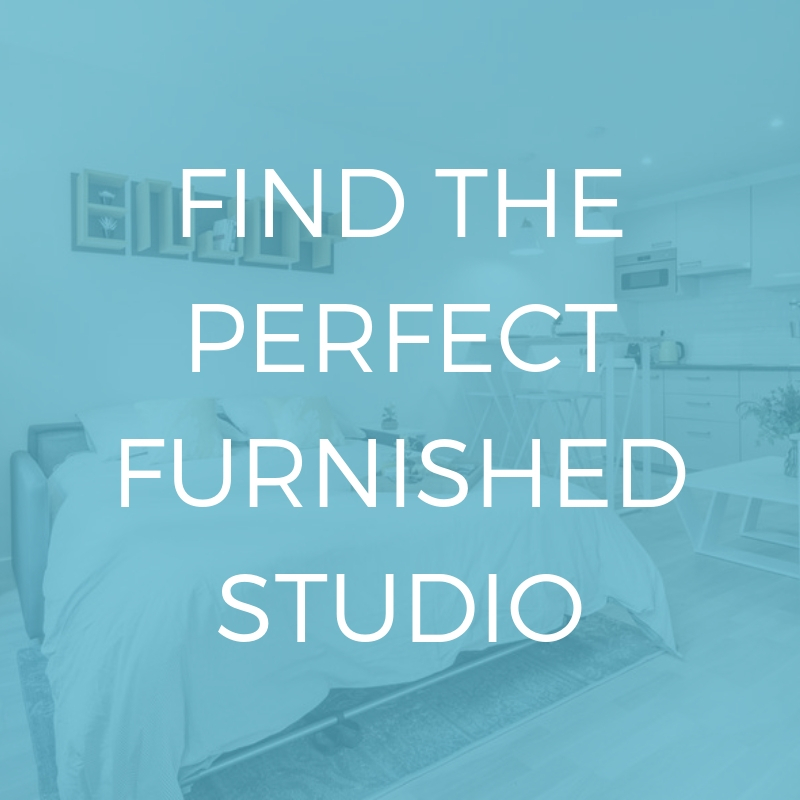 Would you like to work or study away from your office or bedroom? It’s possible! 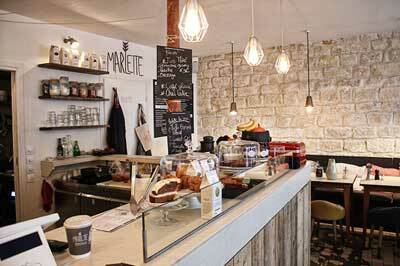 Paris is brimming with co-working cafes offering their customers a pleasant place to work. These all have an internet connection and unlimited cups of coffee! Whether you are a professional, a student or simply looking for a nice place to spend the day with your computer, this post on co-working spaces in Paris is here to guide you! 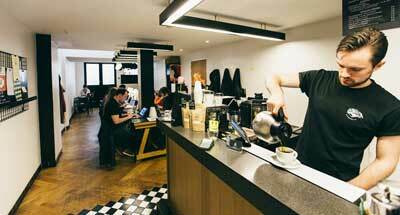 Working in the comfort of your home is what the Hubsy cafe offers you. This bright cafe with a New York touch offers its customers internet, a library, private rooms, a printer, conference call rooms, working space, a buffet and unlimited coffee! The idea came from Australia where the founders met and learnt how to be baristas in order to open a warm and welcoming working space where you can spend the day surrounded by peacefulness while sipping your favorite hot beverage. Schedules: 9 am to 10pm from Monday to Thursday; 9am to 8pm on Friday; 11 am to 8 pm on the week-ends. This is an unmissable working space where students gather to study with a healthy dose of Star Wars and geek culture. The Bar at the End of the Universe is the ideal co-working cafe to study and take some games breaks with friends. It’s not only an ideal working space but also an area where sci-fi, video-game and anime fans gather. Schedules: everyday from 11.30 am to 12.30 am. 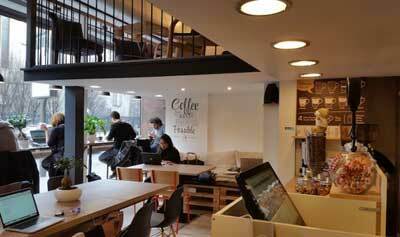 This is an ideal working space for coffee lovers! 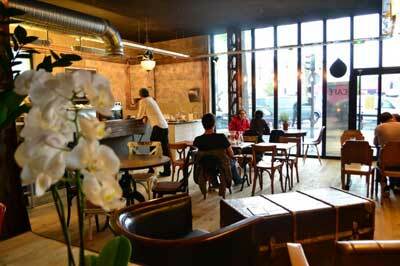 This amazing Parisian space wants to share with its customers the passion that allowed it to win many awards: the art of coffee roasting. As soon as you open the door, you’ll smell the freshly brewed coffee and hear the subtle noise of keyboards typing in this cafe dedicated to work and studying. 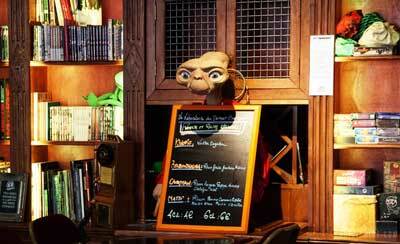 Speaking of which, did you know that the 18th arrondissement of Paris is full of treasures like this one? 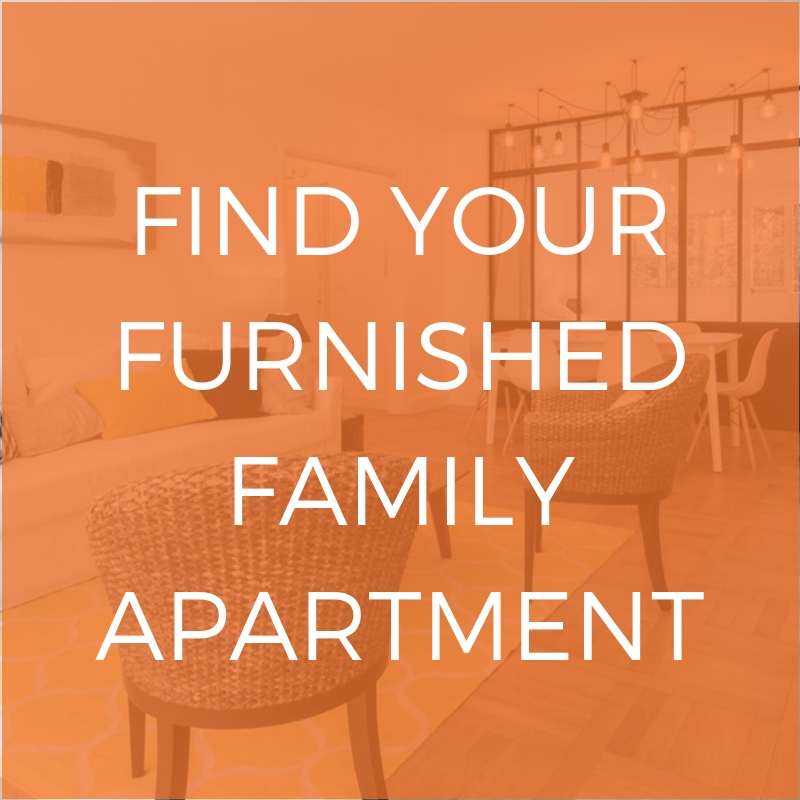 If living in a cosmopolitan and chill atmosphere sounds tempting, then don’t hesitate to check out our range of furnished rentals in the 18th arrondissement of Paris. Want to work surrounded by stunning interior design? Go to Craft cafe! This working space is here for “office-less workers” who want to work on their computers in a modern and pleasant place. It’s divided in two main spaces. The “relaxing” space, located at the entrance for those who just want to have their breakfast with their colleagues before going to work. The working space which has everything you need to work hard: high-speed internet connection, chairs, tables and coffee. The price is based on an hourly rate (3€ per hour). Schedules: 9 am to 7 pm from Monday to Friday and 10 am to 7pm on the week-end. A cosy and bright working space that is the ideal spot to have a good meal! Between homemade pastries, hearty brunches and other delicious products that this cafe offers, there is more than one reason to come back. This cafe is a convivial working space where benches and pillows are available for those who like to combine work with comfort.